Home > News > News > Kirra to Currumbin Oceanway Path! Kirra to Currumbin Oceanway Path! Bilinga & Tugun are fast becoming Gold Coast’s hottest holiday destinations as the extension of the $4m ‘ocean way’ pedestrian path is complete and open for business, linking these hot spots to their Northern & Southern neighbours. Considered as a sensitive area with many objections, including direct beachfront owners rallying to stop the pathway proceeding, it turns out everyone is pretty happy with the result! 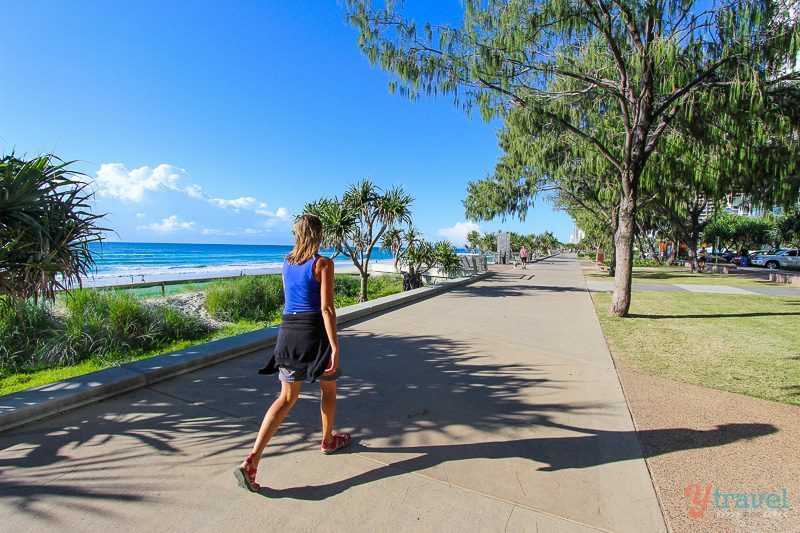 The 8km oceanfront pathway equipped with solar powered mood lighting, provides a safe passage for all ages & mobility, who will now be able to trek the picturesque coastline from Currumbin to the Tweed, whilst passing through North Kirra / Bilinga, Kirra, Coolangatta & right down to Rainbow Bay. Travelers will be able to take a pit stop at local Surf Clubs dotted along the beachfront & also enjoy a smorgasbord of mouth-watering cafés and shopping at each destination.